Man Arrested for Cheating Hollywood Casino in Indiana Tries Hollywood-Worthy Funny Bribe on Gaming Agents! 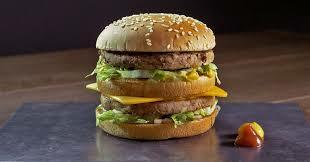 Big Mac to avoid Casino Cheating Charge? A thirty-four-year-old man named Justin Athey got caught pastposting bets at the Hollywood Casino in Lawrenceburg, Indiana. He was taken to the casino's back room, where he was interrogated and then placed under arrest by Indiana Gaming Commission agents. Then in a final desperate attempt to get out of the hot water, Athey allegedly offered to buy (or get) the gaming agents as many Big Macs as they fancied. The reports of the incident do not say whether or not Athey is an employee of McDonald's, nor does it detail which casino game he was pastposting and for how much. What is clear, however, is that the gaming agents did not accept the Big Mac bribe. My take: Maybe those agents just had lunch and weren't hungry! LOL. Also, I think it would make a funny Hollywood scene if Martin Scorscese ever make a sequel to his movie "Casino." 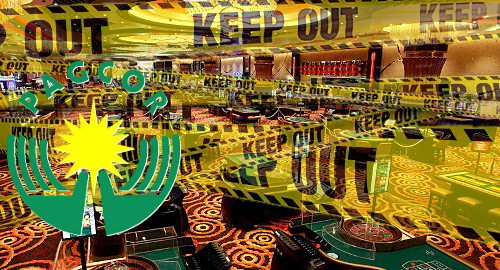 All Casino Employees in the Philippines now Banned from Gambling in Casinos! And we're not just talking about dealers, floorpeople and other persons directly involved in the gaming aspect of casinos. The Philippine national casino gambling ban affects all casino employees, right down to custodians and parking attendants. This casino-banning seems to be following a trend of other Asian casino jurisdictions that have either done the same or are in the process of enacting similar legislation. In a previous blog article I wrote about the pros and cons of this issue, and, more importantly, whether or not governments should have the right to ban employees from any sector from gambling in casinos. The reasoning for these bans are usually twofold. First is the common claim that casino employees could develop problem gambling habits that could have a negative impact on their job performance or even on their ability to work. Second, and probably more the reason for doing so even though it is much less publicized, is the casinos' desire to reduce the chances of any dealers and floor personnel getting involved in inside cheating scams to rip off the casinos in which they work. The thought does make solid business sense as a dealer who is losing too much money gambling is certainly more probable to compromise his job than dealers who don't take such risks at losing money. My take: I do not think the government of any country that allows gambling casinos to operate should have the right to ban specific sectors of the work force from gambling in casinos, even if they work in one.